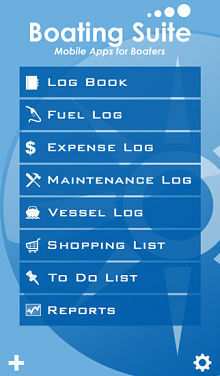 Keeping a log is a great way to have a record of maintenance, use, and memories on your boat. This is a practice that is as old as journaling itself, and it can create a rich history and reference tool for those who use it. Whether you use your log as a maintenance and inventory recording system, or a rich storybook to read and share during your times on land, there is no doubt of the value that a well-kept log has for any captain or boat owner. The digital age has created a number of new opportunities for keeping boat records on electronic logs. 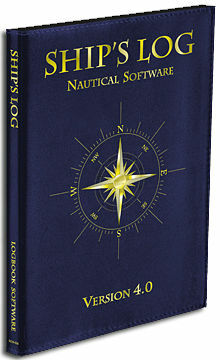 These can be used as software on a personal computer, an app on a tablet or mobile device, or even integrated into the boat’s electronics in some cases. This is a look at some of the advantages of keeping an electronic log, and the pros and cons of some of today’s offerings. Though paper logs have been the standard for a long time, there are some advantages to having both paper and electronic. The largest benefit to paper logs are that you do not need to learn how to use them. Simply open and write. Large, leather-bound books may look stately on the shelf and come with many memories, but they can also be bulky, hard to read when water drops blur the pages, and they take a lot of careful research to glean a pattern of information about boat performance. These are some of the reasons that digital logs were brought up as a possible solution to make logs even better. Electronic logs carry with them a number of other advantages. First, they can be time-saving. Information that is standard can be simply repeated and recorded for each date at the push of a button. They can create opportunities to search for information that you need, and detect problems. For example, the ability to chart fuel consumption can help to detect the first stages of an engine issue, and may lead to a less expensive fix if it is noticed early. Some electronic logs can be stored on the cloud, so information can be accessed both at home and on board the vessel without needing to bring it back and forth. This also protects information from being lost if a boat sinks, flips, or takes on water. Many electronic logs have been created by boaters, so they are tailored for what a boater may need, and can help new boaters to better understand the information that is helpful to keep. Using the log to set up reminders can lead to more regular maintenance and save a lot of long term repair money for an owner. Finally, many of these programs tie into GPS systems on a vessel, allowing for very accurate reporting. There are a number of levels of electronic logs for sale that range from bare bones to very detailed. Prices for these programs are relatively inexpensive, running from free to around $50 for some of the PC programs. Depending on how you already use a log, or how you intend to begin using a log, there are pros and cons to choosing different systems. The biggest thing to consider in this is yourself, your comfort with both log-keeping and technology, and your willingness to teach yourself unfamiliar programs. A good rule of thumb is to choose a system that has everything you need, and a few things that you think you would use if you had them. If you are not a detailed log-keeper, and it is not in your nature, start slowly. Too many things to start filling out can actually deter you from using the software at all. If you are a technophobe, it is also a good idea to find a program that seems simple and self-explanatory. Even if this means reduced function, paying for sections you are not going to teach yourself to use may not be the best use of your dollars. However, if you are either brave in experimenting or tech-savvy, then choosing a more intricate program can be a great way to learn more about your boat. Features: This program has familiar point-and-click functionality. It allows record-keeping for a single boat or a fleet. To save typing, there are a number of drop-down menus and remembered information. It has a section for saved guest information, including medical and dietary info. There is a GPS interface. There is not an online storage capacity, but it can be brought on board via laptop, or pages can be printed for use while underway and entered later. Details in this system, like waypoints and trip planning can be emailed to guests prior to a journey. This system has an excellent maintenance section that includes scheduling based on model specs, integrated parts lists, and advanced inventory management that gives warnings before stock runs out. It also has a location to upload photos for reference, and a built-in copy of Coast Guard regulations with a search function for easy reference. Features: This is a particularly good version for travel bloggers. Log pages can be kept personally or converted into web pages with the push of a button. This software comes in either a free or paid version. Included in the free version is a chart of travel, weather, sea conditions, crew, average speed and personal notes. Upgrade to the paid version to get expense, maintenance, and fuel information tracking. This allows printable reports, a search function, and photo integration. Features: This app is advertised as being designed for boaters by boaters. Seven modules are included with easy push-button functionality. These include Fuel Log, Expense Log, Maintenance Log, Vessel Log (serial numbers, registration, fluids, batteries, etc), Shopping List, To Do List, and Reports (usage, expenses, etc). The Reports function is customizable and each module is integrated to work separately and as a whole. Boating Suite costs $4.99 in iTunes and requires iOS 7.0 or later. Features: This is another two-level free/paid suite. Free is a great source of location charting. If you do not have great navigation electronics on your boat, this is a great substitute, provided you are boating near a cell signal. The paid version allows upgrades to route planning, distance to arrival, fuel consumption, and real-time changes of mismarked chart items. This program can integrate with your Raymarine to update plotter cards, create personal bathymetry, and improve sonar charts. Features: This very detailed PC log allows you to tailor the amount of information you want to keep. It is GPS integrated, and includes many different features for recording and/or sharing via email. 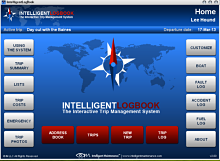 Trip planning and recording, cost calculation and splits between guests, trip logs with photo upload, fault, accident and safety recording, and experience logs to be filled out and uploaded by guests are all a part of the program. 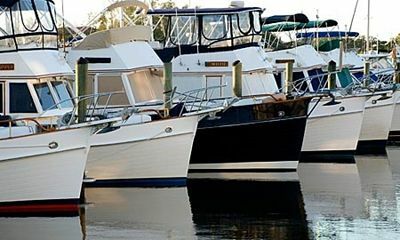 This is a great program for small charter boats to share with clients and run a small boating business, however personal boaters who often entertain guests can find equal function in its features. Features: This travel app is not exclusively for boaters, but is designed to help anyone who takes a journey keep a record of locations that were visited. This app will run in the background of a phone to record the locations that are visited in a day. Waypoints may be manually entered. The program can be run for a single day or a multi-day voyage, depending on the needs of the boater. It is not a replacement for a navigational app or chartplotter, but is a great way to keep track of where you have been. If you are both a road-tripper and a boater, then this will do double duty in recording your adventures. If none of these programs quite fits your own requirements, do not despair. Today’s app and program market allows boaters to choose between many programs and platforms to find what best fits their needs. Because many of these programs are actively updated, apps in particular are a great choice. Developers who want to sell more software will take time to listen to reviews, and often will reward users with an even more functional version of their app. If you try a program and find that it has everything you need minus one or two things, consider writing a review and asking for an upgrade. You will often find that companies are receptive to this, and you are only helping to make their product more saleable. No matter what you decide, it is likely that you will be able to find a program that will make your log-keeping even easier and more rewarding.